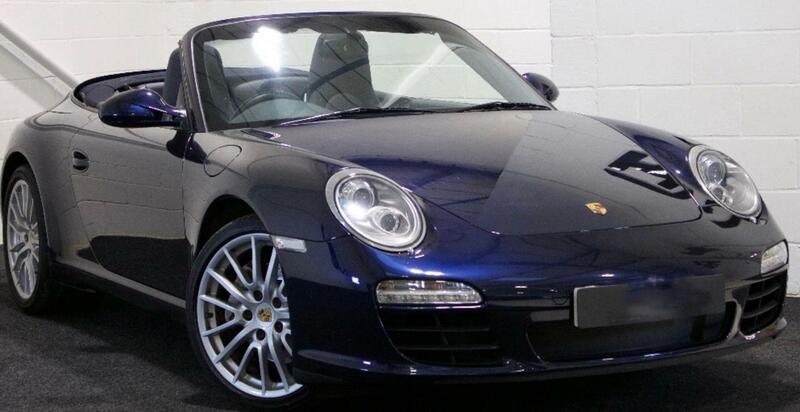 Excellent condition, Everything works as it should, drives like new with a Full Porsche History. Happy to have any inspection you desire. Midnight blue with a dark blue full leather interior. Auto Dimming mirrors (all 3). Touch screen navigation with Bluetooth, upgraded to the latest maps and software two months ago by Porsche Centre Portsmouth. Rare clear rear GT3 LED light upgrade (cost £2,200 new). Front discs and pads changed 3 months ago. Recent service with 6 spark plugs and coil packs. Will have a brand new MOT on collection. So you must be asking yourself if it’s such a brilliant car, then why is he selling it so cheap? Recently I have come into some inheritance and have put a deposit on an Aston Martin. Having two 2+2 convertible sports cars is silly so I’m trying to sell my 911 before the Aston is ready for collection, hence the price. - I can show you the Aston Martin order form if required. I know that all 911’s are expensive and it's nice to have a warranty for peace of mind and finance options. 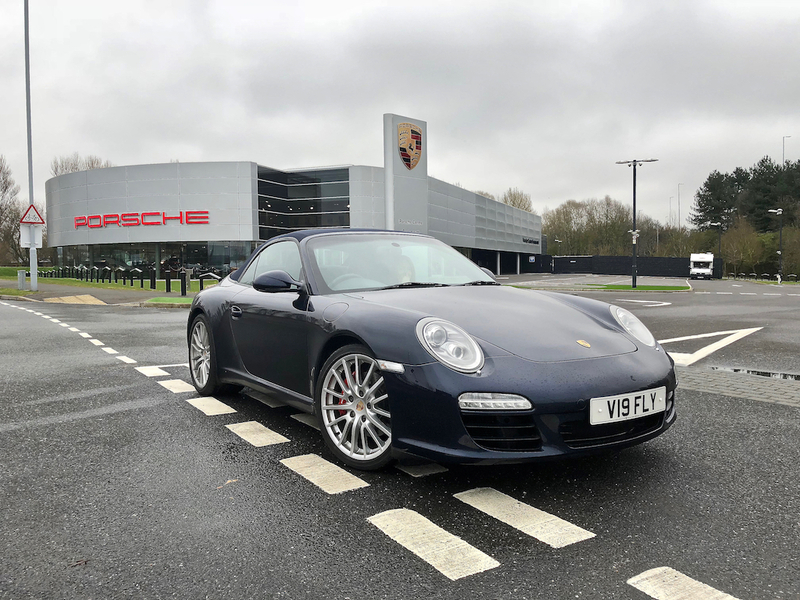 Therefore, I've spoken to the dealer I brought the car from (R&W Motors - who I’ve brought a couple of 911 from over the years) and they can assist with a 12 month extended 5-star warranty and finance options if you require it. Its a great car at an unbelievable price, and being sold for a genuine reason with full dealer facilities (courtesy of R&W). Posted: Wed Jul 11, 2018 3:31 pm Post subject: Re: 911 997 Gen2 PDK Cabriolet. Just put a deposit down on an Aston Martin. Still keeping my Boxster as I could not be without a Porsche. But once all the finances are worked out I’ll PX that for a 997 (hopefully a turbo) next year. Fingers crossed. I wish that someone would leave me Aston Martin sort of £££! Unfortunately both my parents died and I'm selling their house. My father loved British cars and drove Rolls Royces all his life but I know he secretly always wanted as Aston so I'm using his money to get it in a way. I'm sure he'd be happy. Hopefully I can re-arranged some finance with the rest of my share so I can buy another 997 next year (hopefully a turbo). Fingers crossed. Lovely car and well priced. I’ve just dropped the price a bit more to help it sell. I think it’s still under warranty as well. Whoever buys it will be getting a great deal. Anyway, I’ve put a deposit on a mint condition, approved, DB9 Volante from a Chilton Aston Martin. The dealer with my new wont holds it forever so I've drastically reduced the price. its now cheapest PDK Cab in the country by 5 grand. Reduced it to £28,995, as my new car s ready for collection.